The government of Scotland just gave the green light to develop Europe’s largest tidal energy project and the first commercial tidal turbine array in Scottish waters. 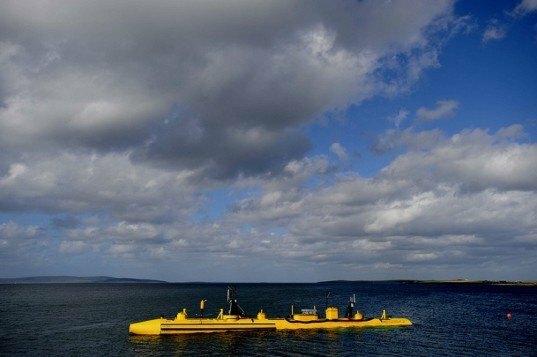 MayGen Ltd. was awarded the 86 megawatt (MW) wave power project located in the Inner Sound of the Pentland Firth, between Orkney and the Scottish Mainland. When the first phase of the project is completed in 2020, the array is expected to generate enough electricity to power 42,000 homes — around 40 percent of residences in the Highlands area of Scotland. MayGen — a joint venture between investment bank Morgan Stanley, independent power generator GDF SUEZ and tidal technology provider Atlantis Resources Corporation — will install the tidal array in stages, with the first demonstration stage of six turbines starting construction in 2014 and providing 9 MW of renewable power by 2015. The 25-year lease signed with the Scottish government is for an area encompassing 1.4 square miles (3.5 square kilometers), and MayGen is planning on a second phase to eventually install up to 400 turbines with the potential to generate up to 398 MW. The Scottish government is contributing £13m to the project. Work is to begin on the largest tidal turbine energy project in Europe after the Scottish government approved it. The government of Scotland just gave the green light to develop Europe's largest tidal energy project and the first commercial tidal turbine array in Scottish waters. 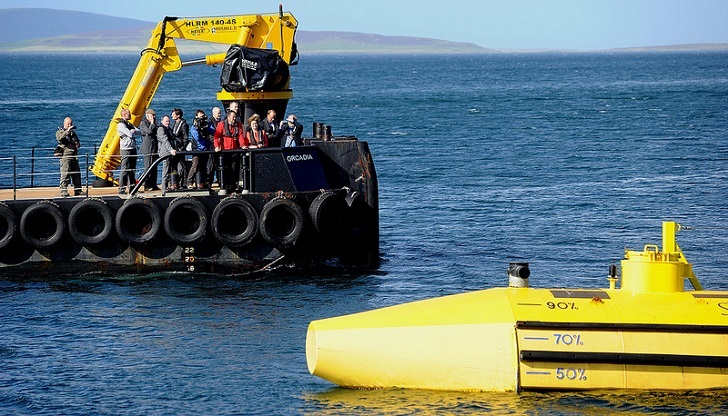 MayGen Ltd. was awarded the 86 megawatt (MW) wave power project located in the Inner Sound of the Pentland Firth, between Orkney and the Scottish Mainland. When the first phase of the project is completed in 2020, the array is expected to generate enough electricity to power 42,000 homes -- around 40 percent of residences in the Highlands area of Scotland.